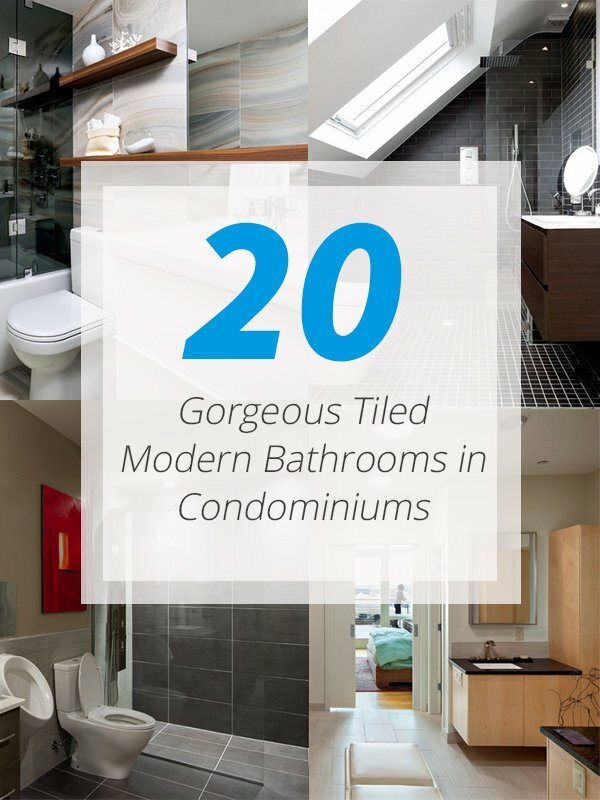 Take a loo at this list of gorgeous modern tiled bathrooms in condominiums you will surely envy! Because most people study and work in the city, condominiums as well as apartments are a hit. But of course, these aren’t as spacious as usual homes but it can be functional like these spaces. As a matter of fact, it can actually contain everything that one needs for a home. It has a bedroom, living room, kitchen, dining area and bathroom. Some well-planned spaces can still insert a laundry space or even a mini-gym too. 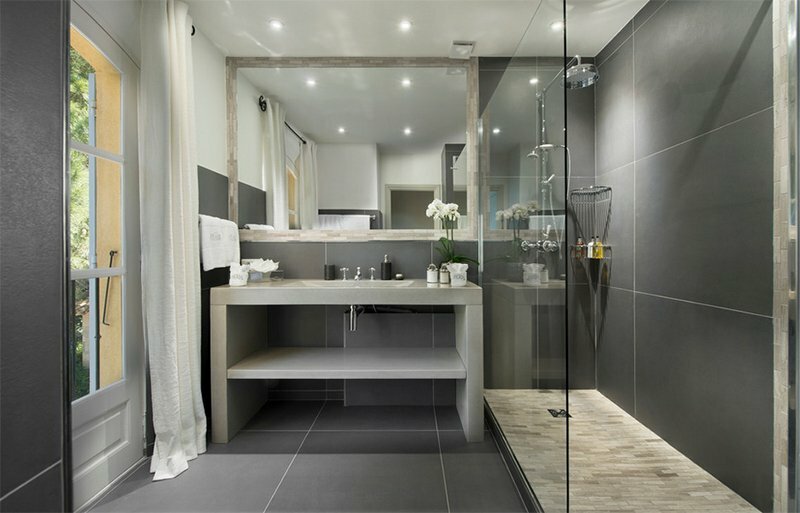 Today, we will show you a list of bathroom condominiums that will give you ideas on how a small space would look like. Well, actually, some condominiums are spacious especially when the owner buys two units and put them together. Hence, we cannot conclude that all condos are small. 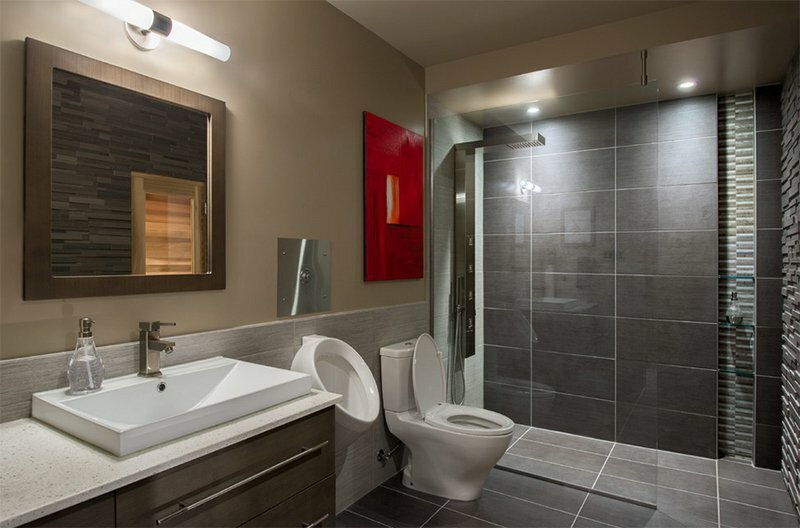 That is why, there are also bathrooms in condos that are spacious with everything one needs in using it. 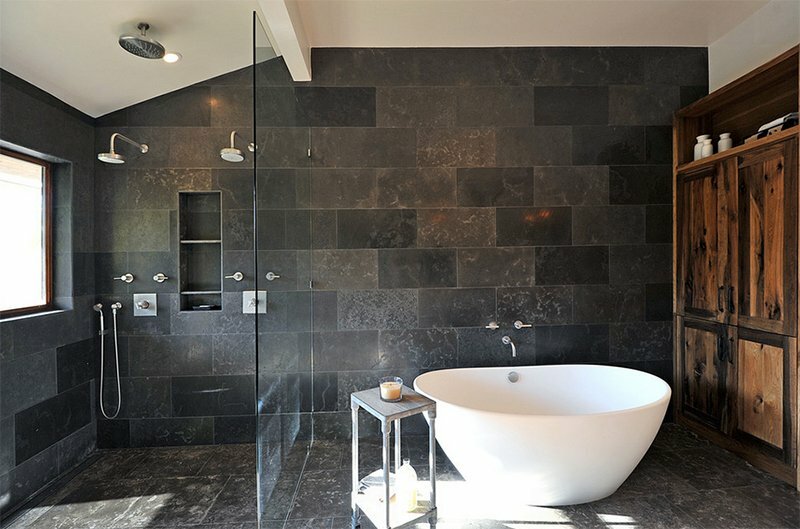 One common materials used for bathrooms is ceramic tiles. 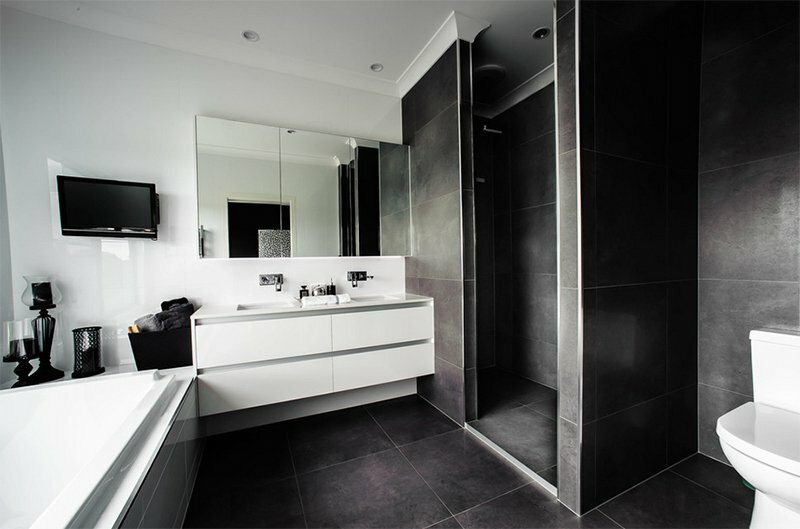 Hence, we searched for bathroom design ideas that make use of tiles and could be fitted for condo spaces. What vary in the bathrooms below are the colors and sizes of tiles that have a huge impact to the entire look of the spaces. 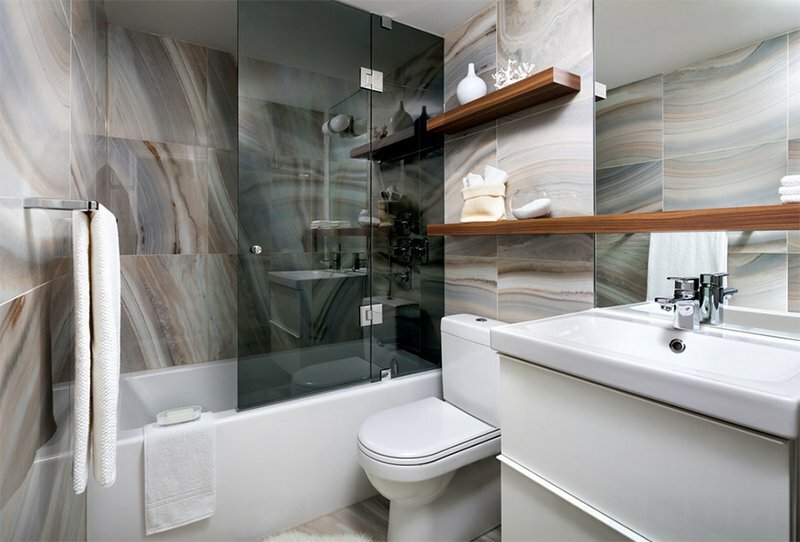 Scroll down below and be inspired of the lovely bathroom areas! This one used what appears to me as subway tiles only that they are in gray color. Using this type of tiles add some classic touch to the space. 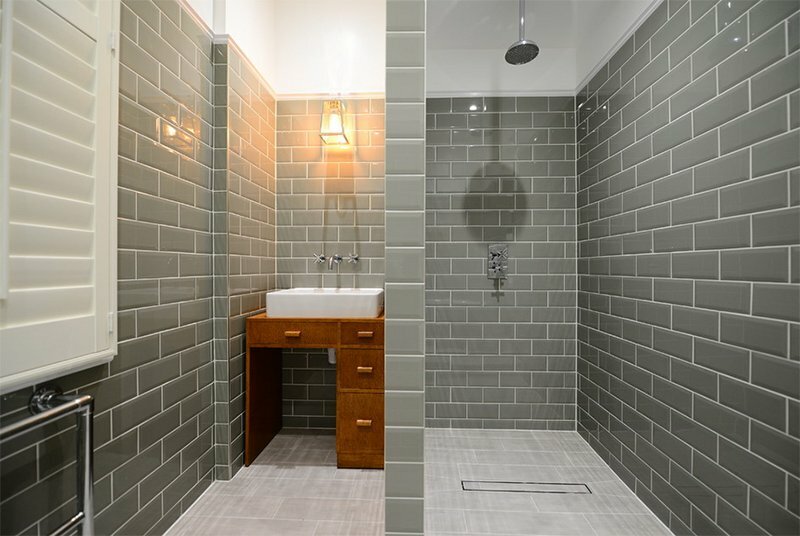 It is a good idea to divide the space for the shower and lavatory. 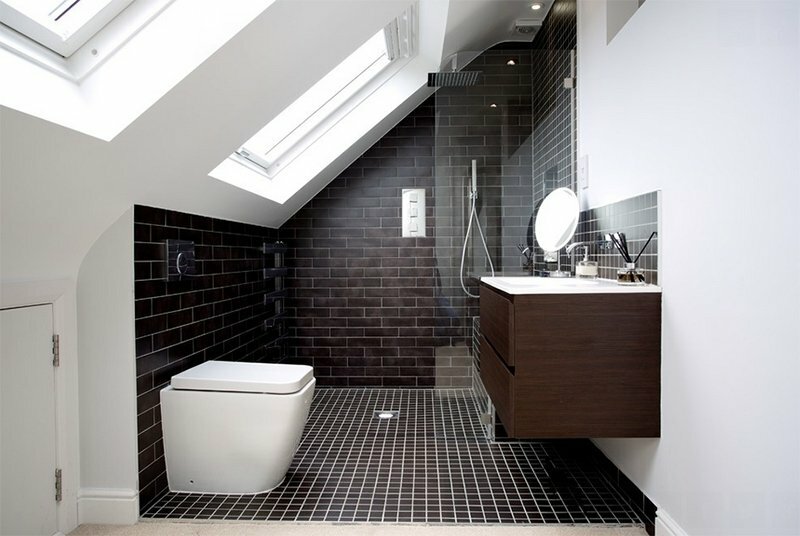 Despite using black tiles, this one didn’t look dark after all because of the skylight. Even the mirror added more brightness to the area. You can see here that it used modern bathroom equipment. 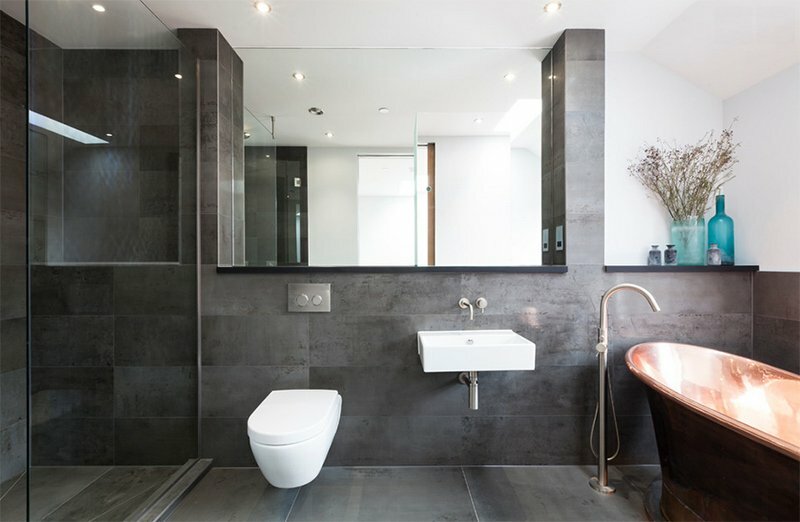 For a small bathroom with white wall tiles, it is nice to add mirrors and glass to make it appear spacious. Seen here is a glass divider for the shower and floating vanity. Different mirror sizes are also seen here. Plain white walls can also be a good choice. Just add darker floor tiles since it would be a nice contrast to the area. Such a neat bathroom indeed! Larger gray tiles were used for this one. Love the contrast of colors here and the flowers that bring some touch of nature into the space. This bathroom didn’t just used tiles for the walls and floors but it also combined it with wood and glass. And yes, that window allows the user to get a good view of the beautiful scene outdoors while dipped on the tub! This one has gray tiles and a chrome bath tub- which is an instant show stopper! 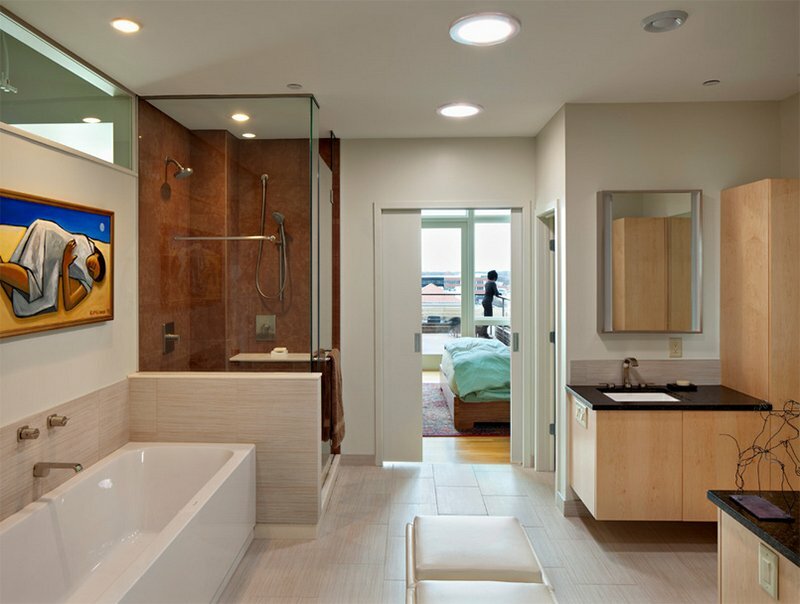 Adding mirrors and glass allow light to bounce around the bathroom. 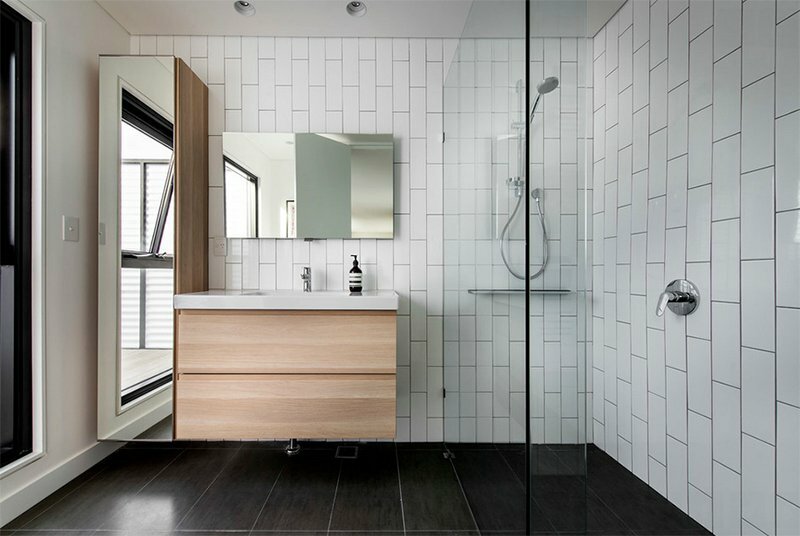 Glossy gray tiles cover the walls of this lovely condo bathroom. You can even take a glimpse of the bedroom here. Beautiful decorative pendant lights were added in the space. That red wall decor adds some bold pop of color to this bathroom with a subtle spa feel because of its colors. Note that on one side of the wall, it used decorative tiles with texture. 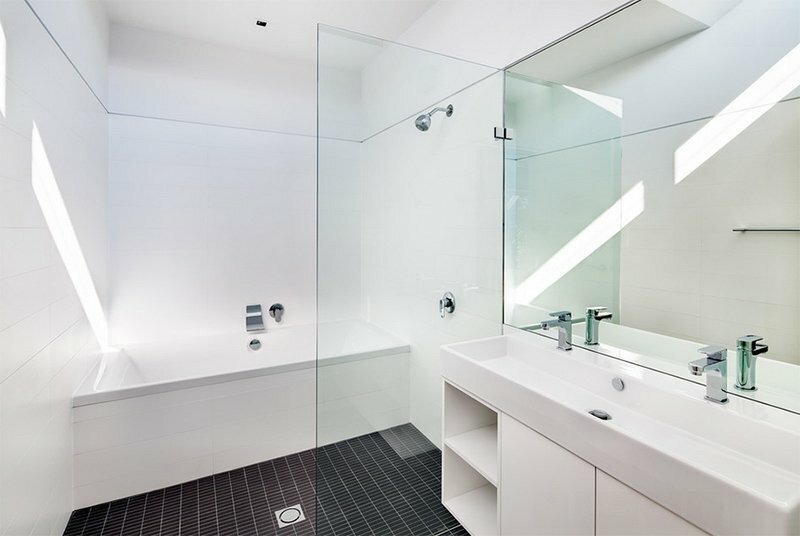 It is a common idea to use glass in separating the spaces of a condo bathroom because it looks luxurious and it does make the space look more appealing. This one has a gray color palette. This condominium is blessed with a spacious bathroom. In the center is a shower area enclosed with glass and tiles. You can notice here the variety of tiles used for different areas. 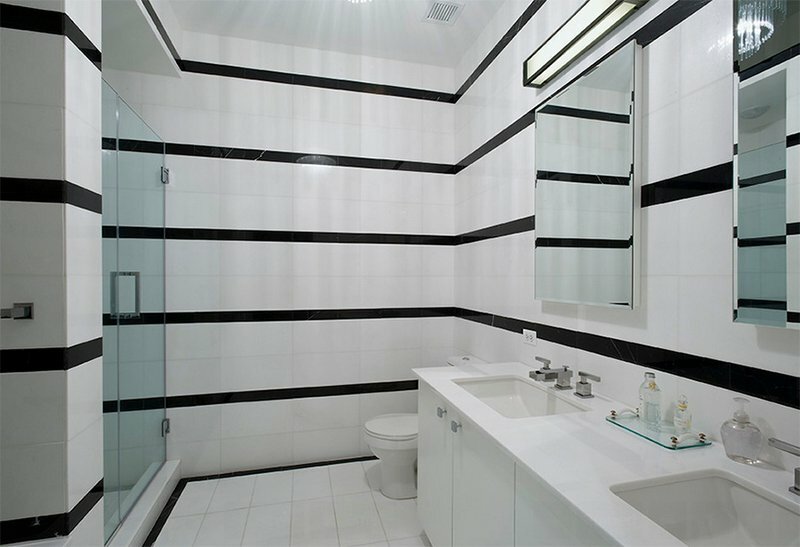 White Thasos and Black Carrera Marble transform this bathroom from drab to dreamy. Every part of this area was skillfully designed and crafted in order to create a timeless classic modern look. Another spacious bathroom with a shower area on a corner, a bath tub, a lavatory and even a bench too. I can tell that the users can spend a lot of time in this bathroom. You can see that the condominium has a lovely view outside. Now that is contrast! Everything is here black and white. I like that shower area covered in tiles which is the same material and color for the flooring. The decors are all in black too. This modern bathroom has some rustic appeal on it because of the texture and colors of the wall tiles. Glass is used once again to separate the spaces. 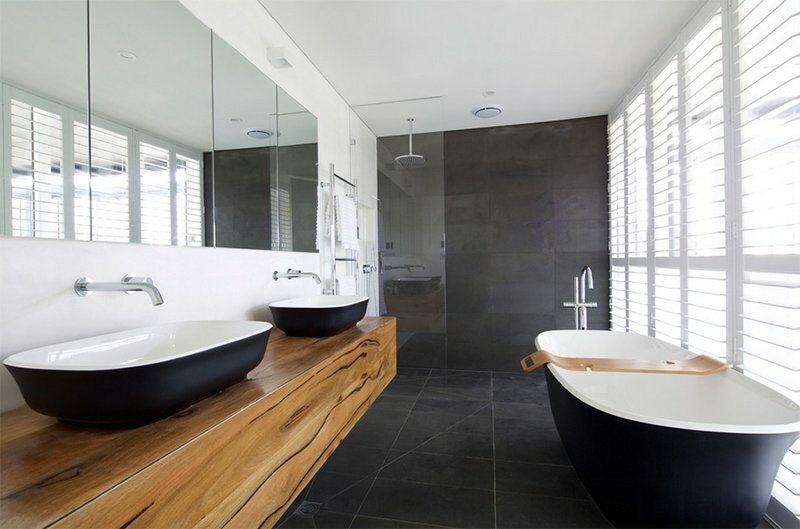 The wooden vanity area is very appealing in this bathroom with black sink and bath tubs as well as dark tiles for the floor that is contrast with the ceiling and walls. And yes, mirrors are installed above the vanity too. A huge mirror reflects a horse wall decor that adds some beauty to this bathroom. It has white colors everywhere while the tiles on the wall has some marble-like texture. This is just a small bathroom but everything in it looks awesome especially the walls and floors. Wooden floating shelves are installed on the wall that matched with the walls. 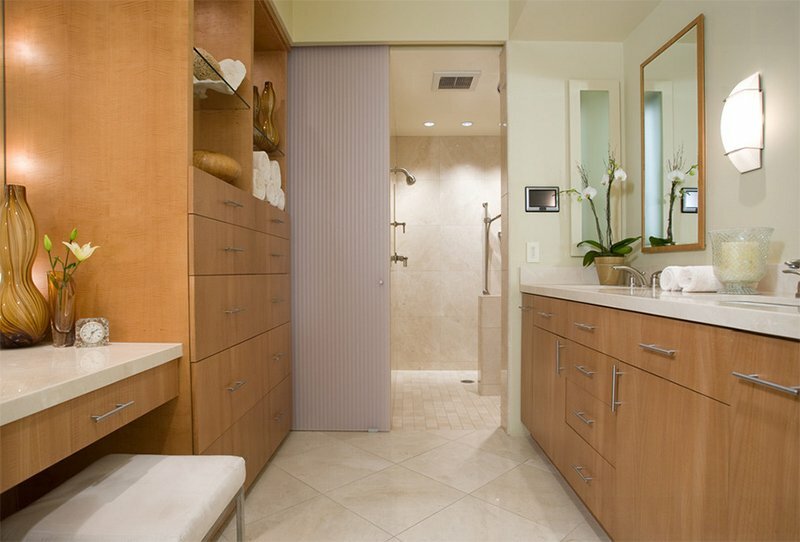 Wooden cabinets are used for this bathroom with stainless hardware. 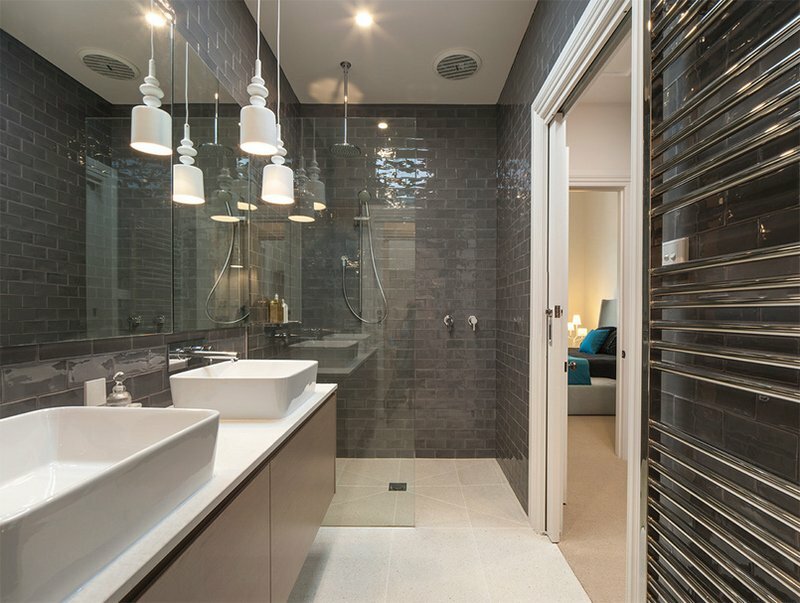 A sliding door leads to the wet area where the shower is located. 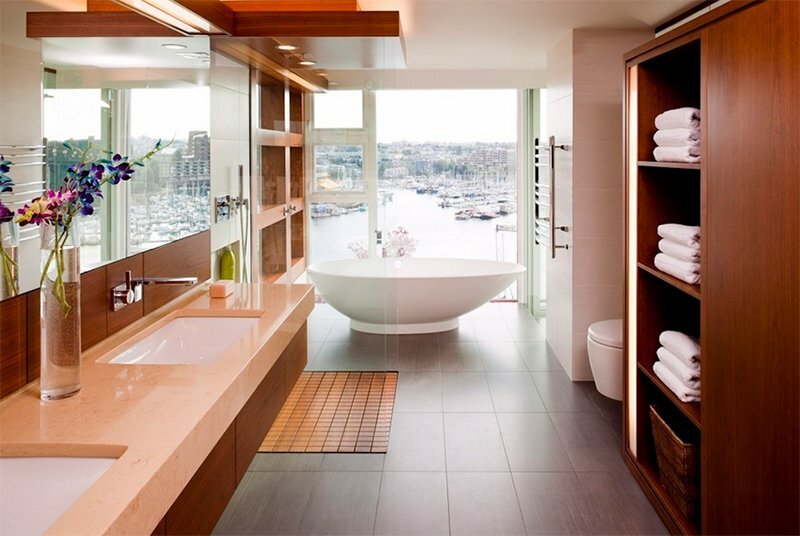 Good idea for a condo bathroom indeed! 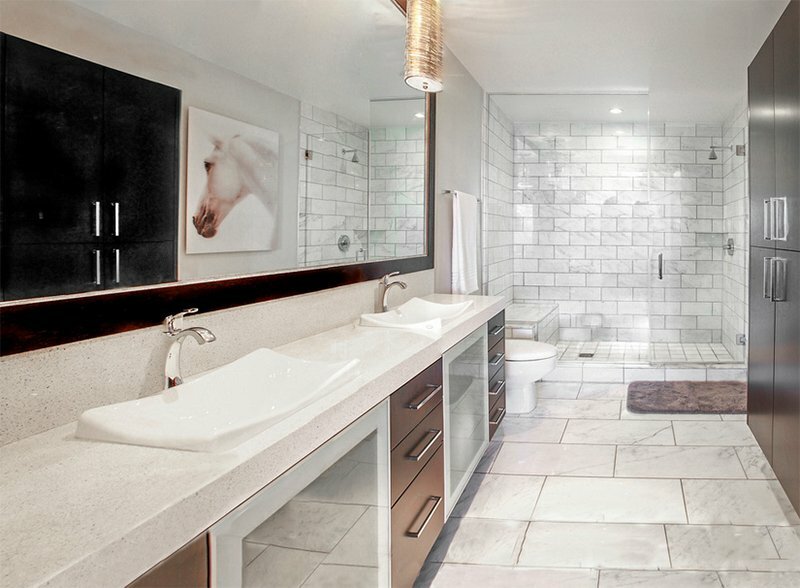 Toronto Condo Staging and Design Inc. Such a beautiful room design by Cecconi and Simone that features an integrated storage cabinet recessed in wall. There is a towel bar used as handle. The wall tiles here also has some interesting texture in it. 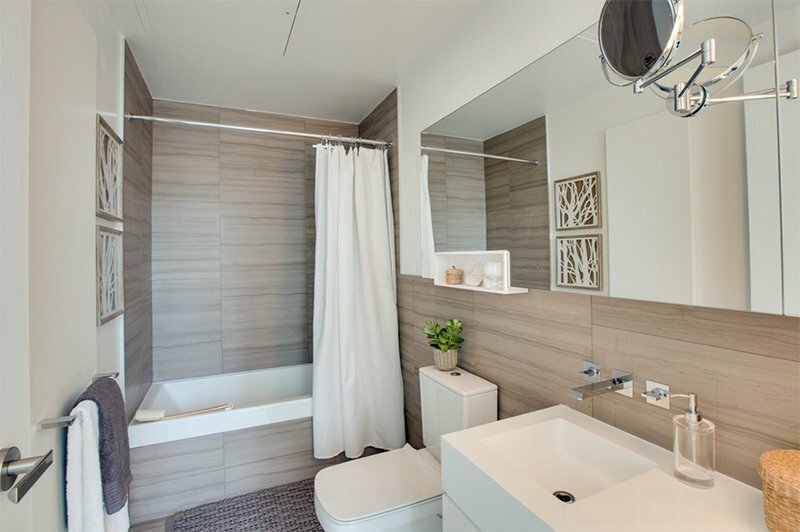 So, who said that you can’t have a lovely bathroom in a condominium? With the bathroom spaces you have seen above, you will surely be inspired to decorate and design your own bathroom. Well, you don’t need too much stuff inside. When it is simple, it looks a lot better. What matters most is that the space should be usable and functional for the owners. The above bathrooms with ceramic tiles for the flooring looked neat and beautiful. What is good about tiles is that they aren’t just gorgeous but they are also easy to use in decorating and adding appeal to your bathroom. You can decide on the colors and how creative you want to put them together.